NOTE: This article was originally published in the Tuesday Morning Tailback series at BigBlueBullfrog.com. The Miami Dolphins defeated the New York Jets 30 to 9 on Sunday in the Jets home stadium. There was a lot of nervousness in the stadium because a hurricane was rapidly approaching. The Dolphins are used to being nervous about hurricanes approaching their own home stadium but the Jets are not. The Jets defeated the Dolphins in Miami earlier in the year in overtime. However, the Dolphins shut out the Jets in the 1982 AFC Championship game, which actually held in January 1983 at the Orange Bowl in Miami. It was a very rainy and muddy game, but not a hurricane. The Orange Bowl no longer exists, as it was torn down to make way for a new baseball stadium for the Marlins, who last won a World Series in 2003 against the New York Yankees. The Jets also claim to be from New York but actually play in New Jersey with the Giants (who also claim to be from New York). The Nets used to play in New Jersey and actually admited that they were from New Jersey, but now they play in Brooklyn, which is technically in New York. The Giants won the Super Bowl last season (which was actually held in February of this year). The Dolphins haven’t won a Super Bowl since 1973, which was the same year that Pink Floyd released The Dark Side of the Moon. I saw Pink Floyd in concert twice, both times at Veteran’s Stadium in Philadelphia, the same location where legendary Dolphins coach Don Shula became the winningest coach in NFL history in 1994. That stadium was the home of the Philadelphia Eagles who never won a Super Bowl. Neither the Detroit Lions nor the Cleveland Browns have won a Super Bowl either, although they did meet in a lot of NFL Championships in the 1950s. The most famous game of the 1950s was the 1958 NFL Championship between the Baltimore Colts and New York Giants at Yankee Stadium (the Giants actually did play in New York at the time). The winning coach in that game was Weeb Ewbank, who won two championships for the Baltimore Colts. Despit this fact, Ewbank was fired by the Colts in 1963 and replaced by Don Shula (who would eventually become the winningest coach in NFL history at Veteran’s Stadium in Philadelphia in 1994). Ewbank went on to become head coach of the New York Jets and won Super Bowl III against his former team the Baltimore Colts and coach Don Shula. Shula eventually left the Colts to coach the Miami Dolphins, who defeated the New York Jets 30 to 9 on Sunday in the Jets home stadium. There was a lot of nervousness in the stadium because a hurricane was rapidly approaching. 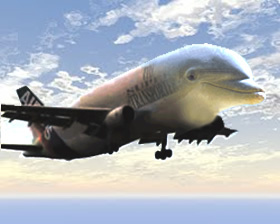 In 2006 I wrote a song called “A New Religion” which spoke of “Dolphins flying in the sky”. 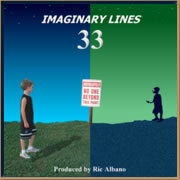 Three years ago today, on 09/09/09, we released our biggest release with Imaginary Lines 33. This is a quasi-compilation album, which takes the previously-released Imaginary Lines I (2005) and Imaginary Lines II (2007) and folds them into this massive collection along with 12 brand new songs to form this 33-track, 2 ½ hour odyssey of all original music by Pennsylvania songwriter and producer Ric Albano. The songs are an eclectic mix of thoughtful and philosophical lyrics combined with unique yet melodic music that, while experimental, remains accessible enough to draw in the passive listener. It then gets better and better with each successive listen. Although pressed onto two CDs, the project is actually divided into three distinctive sections. Starting on Disc One, the initial eight songs are actually the newest and most recently produced songs. These are very diverse in style and genre and range from some very pop-oriented to some very unique, such as the collection’s only instrumental; “Rubicon”. The remaining nine songs on this disc comprise the whole of Imaginary Lines I, in near-exact form as it appeared in 2005. This second part of the collection contains the deepest and most richly-produced songs from the inception of the project and Ric Albano wanted to remain as true to their original spirit and technique as possible. The whole of disc two contains the third and final section of this project, a newly enhanced version of Imaginary Lines II. Upon its original release in 2007, only twelve of these tracks were completed and all were in simple form (by design, to contrast the rich production of IL I). Never quite satisfied with this approach, Ric Albano revisited these songs to add the proper “finish” as well as complete those that were left off. The result is an amazing journey that has the listener humming the hooks and tapping the beats “all the way home”. 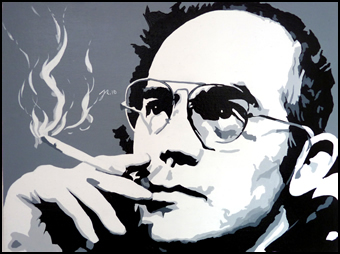 On February 20, 2005, author Hunter S. Thompson killed himself at his home near Aspen, Colorado. That day also happened to be my son’s 14th birthday and he has become a big fan of Thompson’s work (as is evident in this 2010 piece that he wrote). The song never quite worked out for Animal Society but was included on Imaginary Lines 33, with Erik Trabert providing the layered electric guitars and Rons Simasek on drums. Hunter S. Thompson received a full co-writing credit, one his last ever. There are times when songwriting is just not so serious. One such example for me came in the late spring of 2006, when I sat down to write a song about summertime, but ended up writing a cool riddle which gypped lines from songs from eight of my favorite classic rock artists. Six years after the song was written and nearly three after it was released internationally, noone has yet been able to tell me the origin of all eight of these quotes. It was as strange and surreal a moment as it was wonderful. The moment that is now captured forever in the quarky little 7-second intro to the song “Lorelei”, started out as a simple enough task but soon escalated into a long and deep yet frustrating conversation. 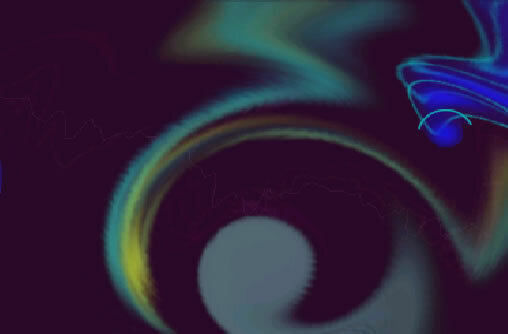 The tune itself had been bouncing around the house for years with various lyrics and themes but by the summer of 2004 I was in the midst of a prolific writing period and decided to take this simple, jazzy melody of this tune and try to revamp it with a new theme. That theme soon arrived by my merely going to work everyday, with plenty of material coming as a result of one asinine remark after from some of my “enlightened” co-workers, especially in the political context of an election year. I would then go home at night and occasionally hear refreshing remarks from my 6-year-old son Jacob, who seemed amazingly just as interested in Campaign 2004, but yet seemed to make statements just as (if not more) profound then those “grown-ups” had made during the day. I had my new song! I had an odd new beginning to this odd and entertaining song. NOTE: This song’s most recent and final update included a revamping of the lyrics for the 2018 release of the Sinclair Soul album Nine Fine Lines.